Justin Bieber & Charlie Sheen on TMZ Live - REALLY! Did we spoil Justin Bieber's birthday surprise? Will Charlie Sheen make "Major League 3" and who is Charlie's new "goddess?" 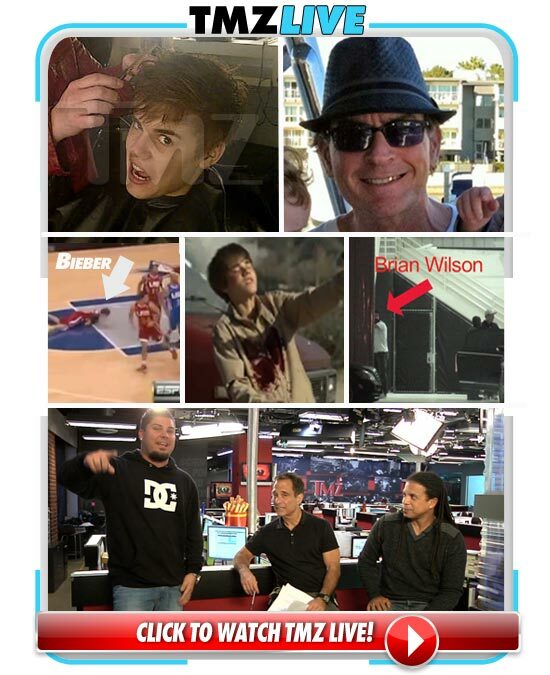 We get the answers straight from The Biebs and Charlie Sheen on today's TMZ Live! (1:28) Justin Bieber's on the phone!!! Is he mad at Common for their run-in at the NBA celebrity All-Star game? (2:50) Bieber's a dead man on "CSI" ... and he lets us know his favorite part about the shoot. (4:00) Bieber is coy about sending Selena Gomez a TON of flowers. (5:10) Warning Biebettes -- Justin cut his signature 'do ... and we have a photo! Bieber tells us why he decided to get a trim. (9:52) Did we ruin Justin's birthday surprise? Looks like it. Sorry 'bout that, Biebs. (16:50) Charlie Sheen's VIP baseball party ... we have all the details ... and exclusive video. (25:00) Charlie's ON THE PHONE! And round one goes horribly wrong. (26:55) Charlie's back! He describes his MLB party like no one else can. Seriously. (28:32) Charlie let the MLBers wear Babe Ruth's 1927 World Series ring ... you know, the one he OWNS. (30:15) Charlie has "two goddesses" ... something we'll eventually understand. (30:50) UNBELIEVABLE NEWS: Charlie says he wants to do "Major League 3"!!! Rejoice!